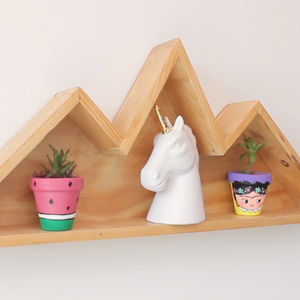 John Muir's, "The mountains are calling an I must go," comes to life in this art-and-storage-savvy Decorative Shelf. 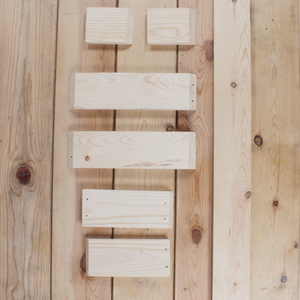 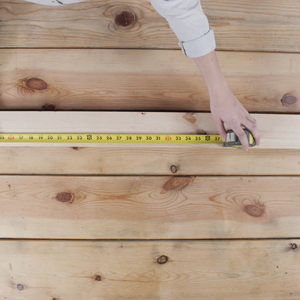 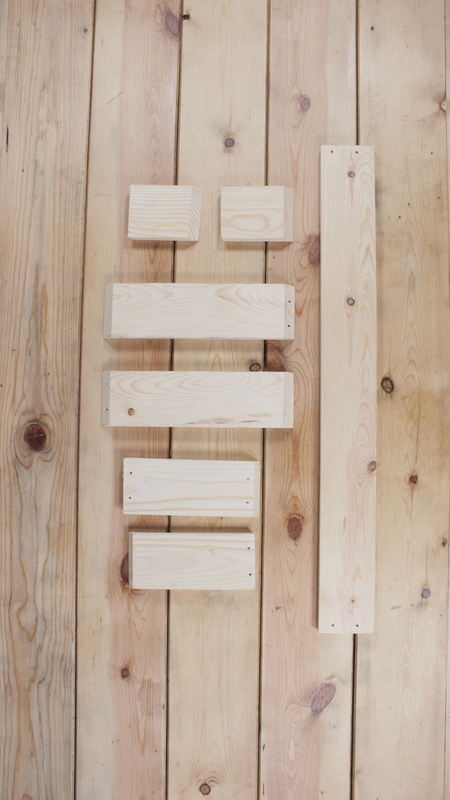 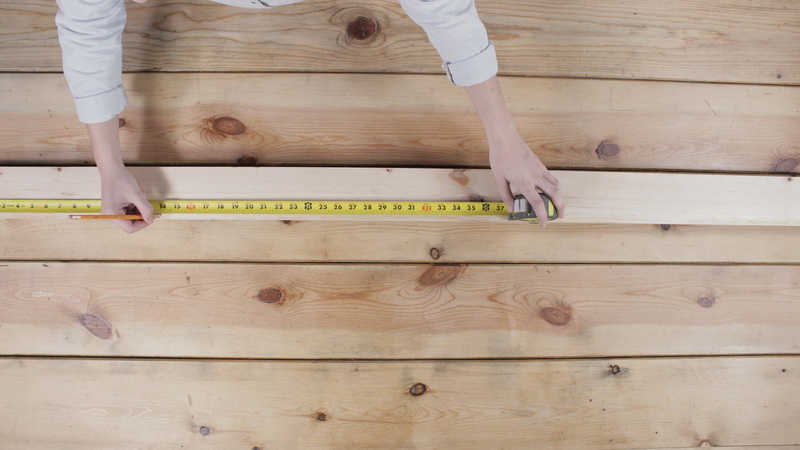 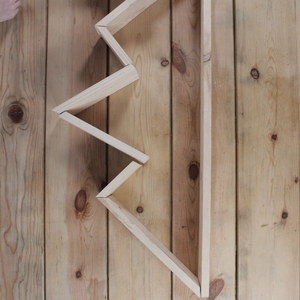 Mark the cuts for your mountain shape on the 1 x 4 x 8 piece of wood. 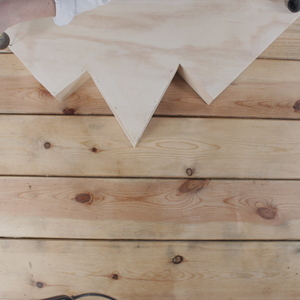 Adjust the bevel on the circular saw to 45-degrees, and make two cuts of 90 cm, two cuts of 35 cm, two cuts of 25 cm and two cuts of 15 cm. 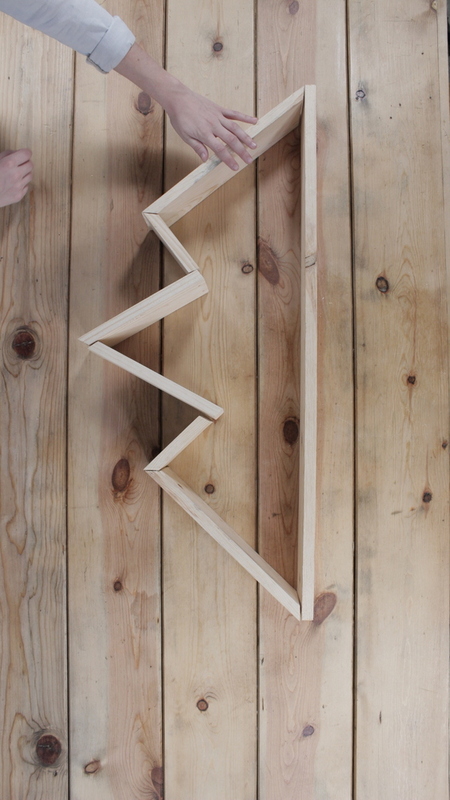 Align your pieces on their edges to shape the peaks of your mountain. 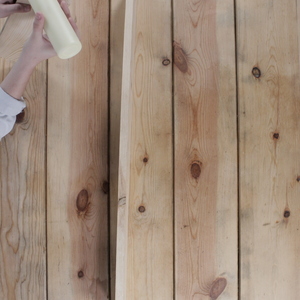 Apply wood glue to the joints, and let dry. 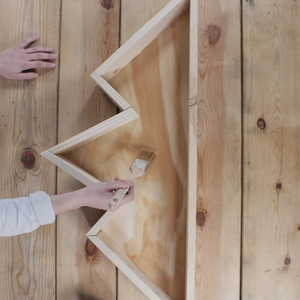 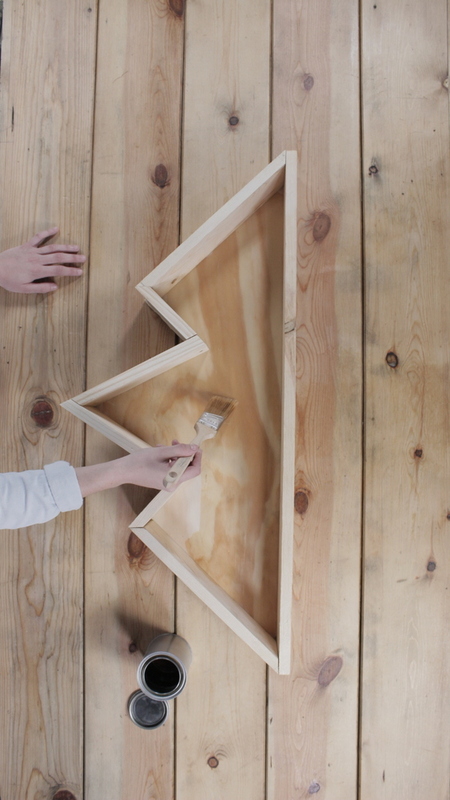 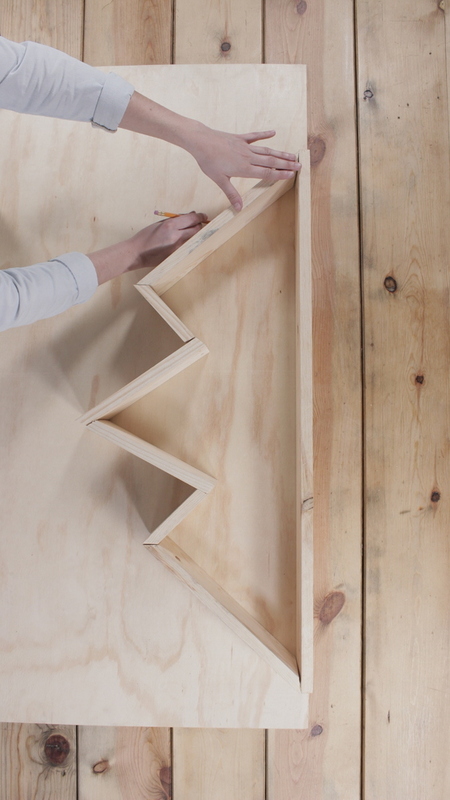 Trace the mountain shape onto your piece of plywood, and cut out with your jigsaw. 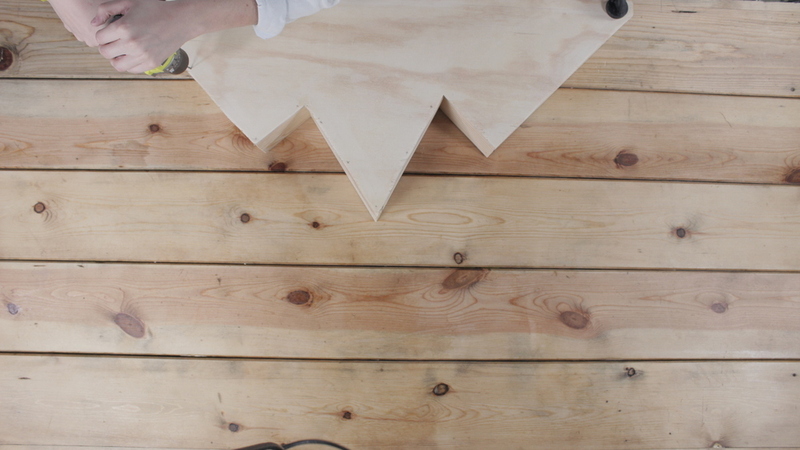 To attach the back panel onto the shelf, drill pilot holes and then fasten screws. 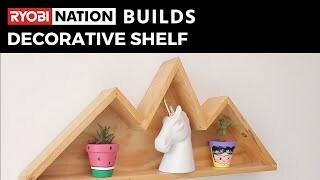 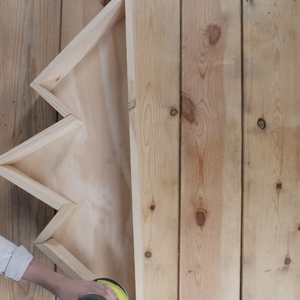 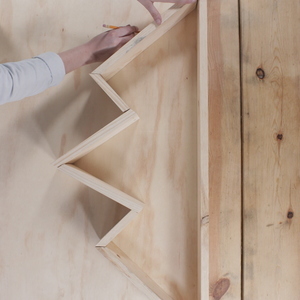 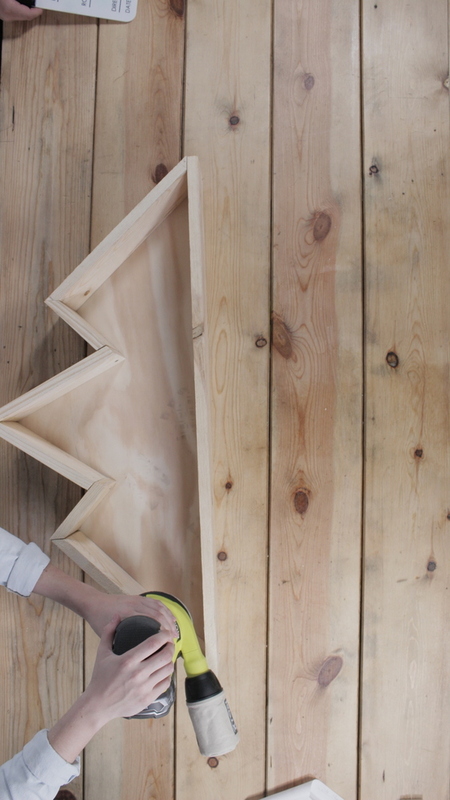 Use 220-grit sandpaper to finish the edges of the shelf. 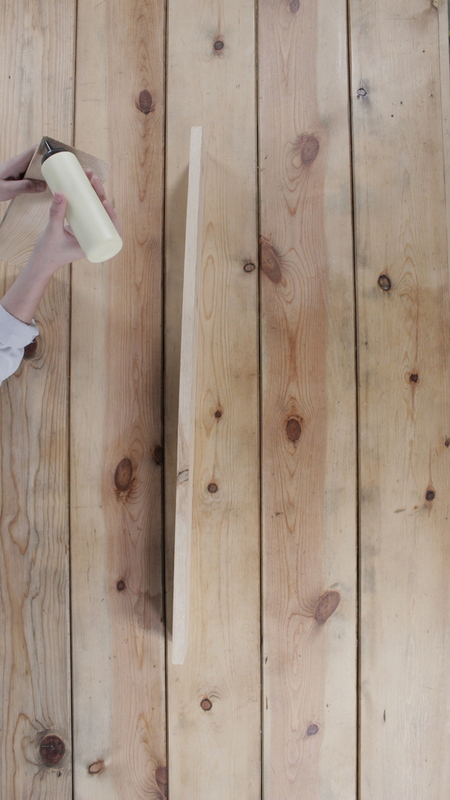 Apply a finish of your choice, and enjoy!